The Glenroy Public Hall, originally constructed in 1928 and extensively altered and remodelled in 1963-65, at 5 Cromwell Street, Glenroy. The external form, style, materials, detailing and the intactness of the Hall to the 1965 remodelling is integral to the significance of this place. Alterations and additions dating from after 1965 and other buildings on this site are not significant. The Glenroy Public Hall is of local historic and social significance to Moreland City. 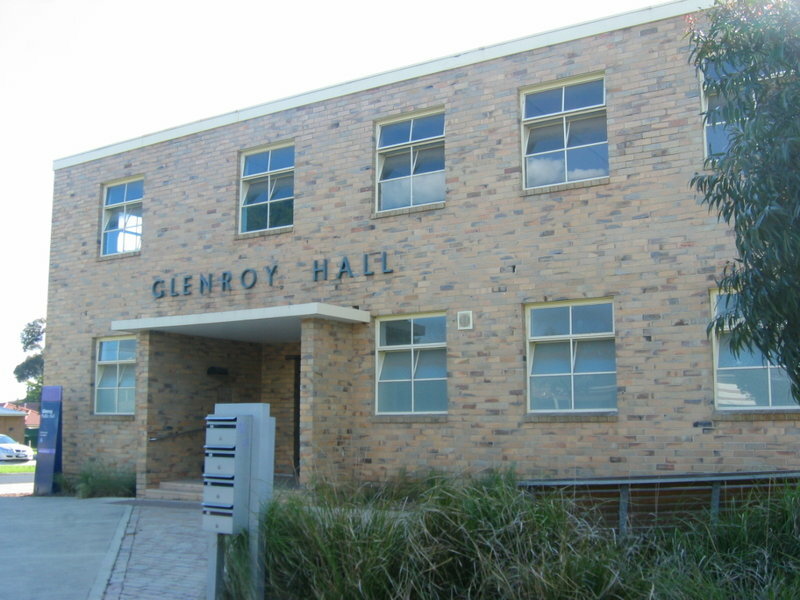 The Glenroy Hall public hall is composed of two parts including the brick clad 1920s hall and the 1960s two storey front portion. The hall is a four-bayed structure with engaged pilasters between which are windows. The roof form is a gable that now features prominent air conditioning ducts. At the front of the hall, the two storey portion is constructed of cream brick with a flat roof and parapet. The windows are steel framed and the centrally located entrance has a flat concrete canopy. The metal lettering 'Glenroy Hall' is designed in stylish typeface and set in relief above the canopy. 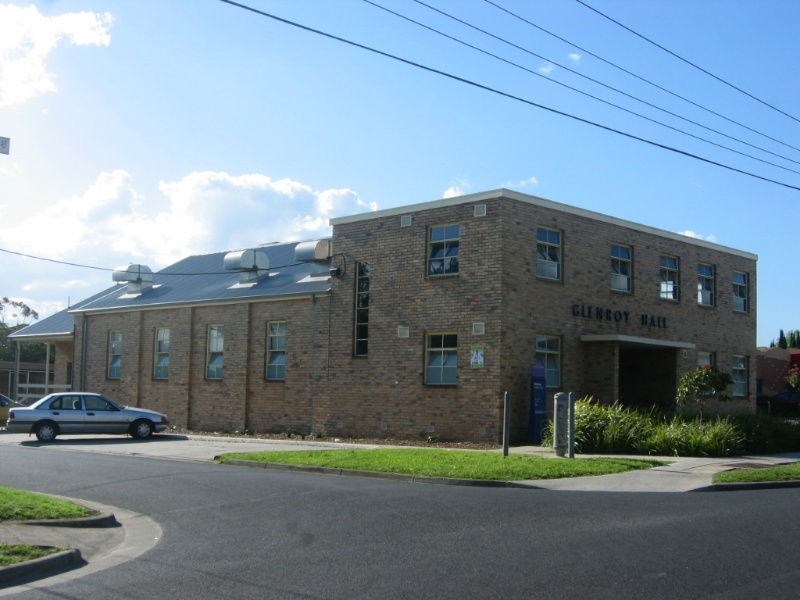 The Glenroy Public Hall has the appearance of a plain post war building despite its earlier origins. There are contemporary additions at the rear and side adjacent to a carpark.